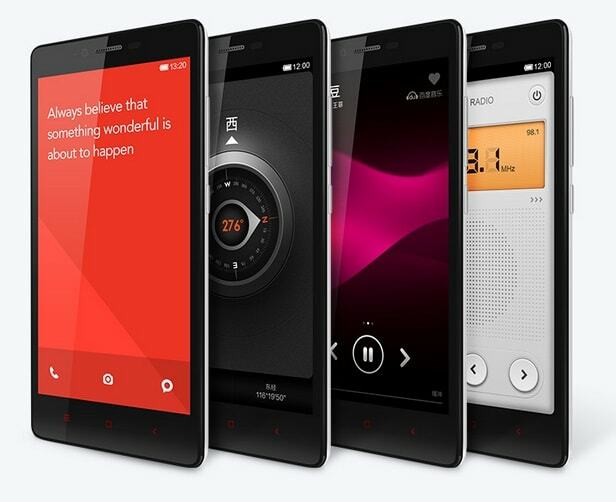 The Redmi Note is the latest phablet under 10000 Rs from Xiaomi. This device has an octa-core MTK6592 processor coupled with an impressive 2GB of RAM and a quad-core Mali graphics processing unit. It houses a 1080p video recording capable auto-focus 13 megapixels rear camera with f/2.2 aperture at the back and a front 5 megapixels shooter. The back camera flaunts an LED flash for brightness enhancement. It supports features such as Geo-tagging, face, and smile detection. Note from Xiaomi gets a lithium polymer 3200 mAh battery to supply current to the hardware components. It has a massive 5.5 inch IPS display with capacitive touchscreen. The screen comes with a 1280 x 720 pixels resolution and it has pixels per inch around 268. The display lacks corning glass but who needs one when you can get affordable covers for phones? This cheap octa-core phone under 10000 Rupees comes with a decent 8 gigabytes storage space but this isn’t the limit. The user of Xiaomi Note gets an option to use a MicroSD 32GB card to store files and other data when there’s no space left in the ROM. This device gets 2 SIM card slots and an LE Bluetooth which supports the A2DP profile. This mobile is preloaded with Android 4.3 jelly bean operating system and some utilities, games, and apps. It supports Java technology that allows installation of apps with Jar and Jad extensions. This device has a gyroscope, accelerometer and compass sensors. It supports MicroUSB, WCDMA, GSM, WiFi connectivity and on the go functionality. 1.7 gigahertz octa-core MTK6592 and quad core Mali MP4 processors. 2GB of RAM, 8GB storage capacity. Dual SIM connectivity option for WCDMA, GSM networks. 3G, low energy Bluetooth, WiFi, EDGE, A-GPS. MicroSD card, USB on the go support. Xiaomi Redmi Note 4G Price in India: Within 9000 to 10000 Rupees (discontinued). Note: Xiaomi Redmi 3 is the successor to Note 4G. From the specs, it seems like Note is a good budget smartphone for gaming under 150 dollars. It will compete with the likes of Asus Zenfone 5 and WickedLeak Wammy Neo youth mobiles that have been recently launched in India. I want to purchase xiomi phones so what should i do for that. I want to purchase xiaomi redmi note 3 how is it?? ?